Mon Dieu! 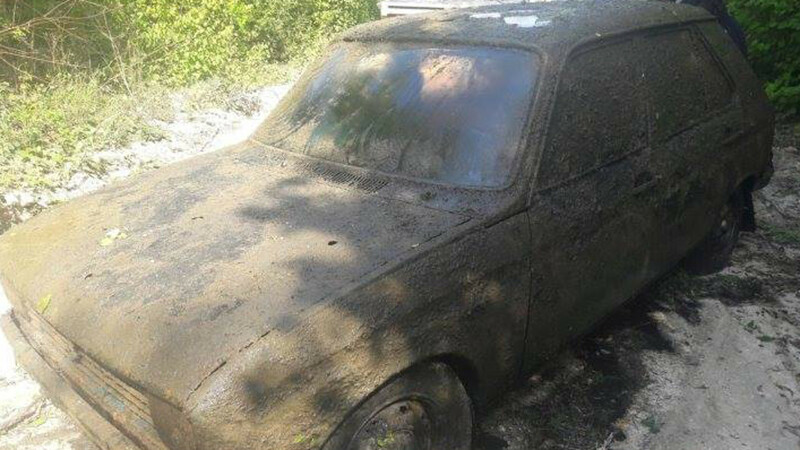 A woman was reunited with her 1975 Peugeot 104 almost four decades after it was stolen when a drought revealed the blue hatchback hiding at the bottom of a swamp in the middle of France's Champagne region, according to the Associated Press. Local authorities say the man who owns the property called police after spotting the little Peugeot's rear end sticking out of the mud last week, concerned there might be a body inside. 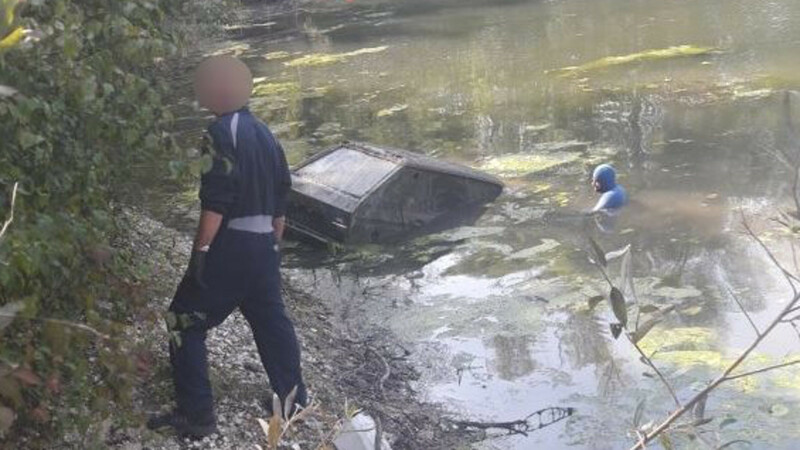 Thankfully that turned out not to be the case, but investigators were baffled as to how the 42-year-old car ended up perfectly preserved at the bottom of a boggy pond. 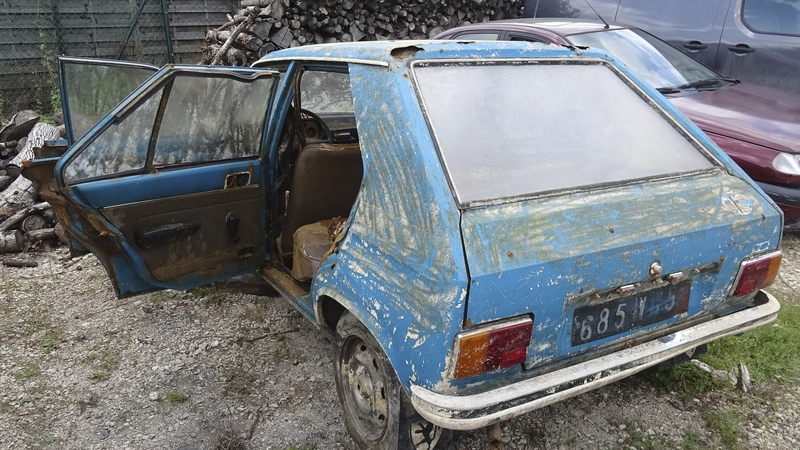 After leafing through reams of dusty paper records, police had the answer—the Peugeot 104 had been reported stolen in the nearby town of Reims in 1979 and apparently ditched by the thieves in the swamp a short time later. 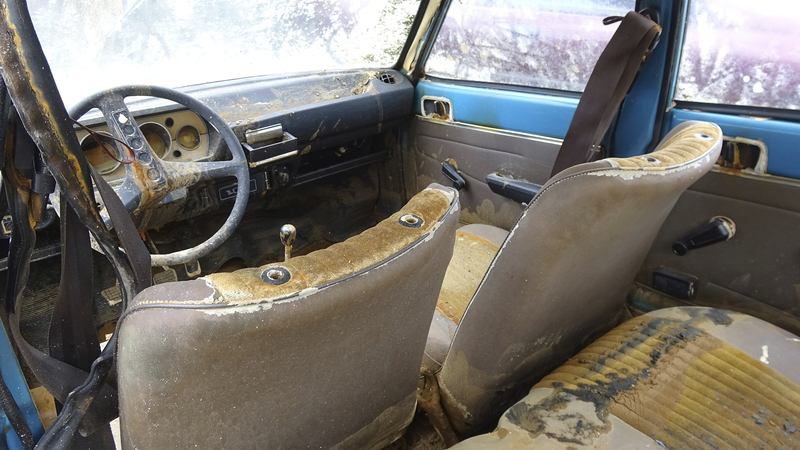 The car's survival stems from the hypoxic environment in the muck, which prevented it from rusting away. "It still looks like a 104. It's still blue and there is still chrome on the bumpers. It's surprising," Franck Menard, the mechanic who hauled it from the swamp to his garage for inspection, told the Associated Press. "It's relatively well preserved given that it spent so long in the water. The seats are still in good condition, beige." Of course, while the cosmetics haven't faired too poorly, the mechanicals are another story. The car's little 1,000-cc inline-four engine is obviously way beyond saving, and every non-metal part would have to be replaced to make this mummy roadworthy again. Although the stolen car technically belongs to the owner's insurance company at this point, police still contacted the woman and informed her of the bizarre discovery. She was "surprised" and "quite moved," Lt. Col. Pierre-Damien Igau told the Associated Press. A Peugeot 104 in happier times.